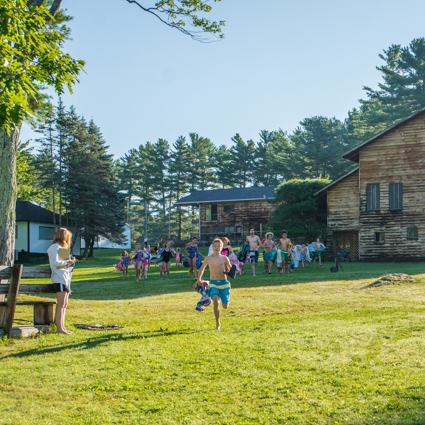 Kamp Kohut is a traditional, residential summer camp for children ages 7 to 15. 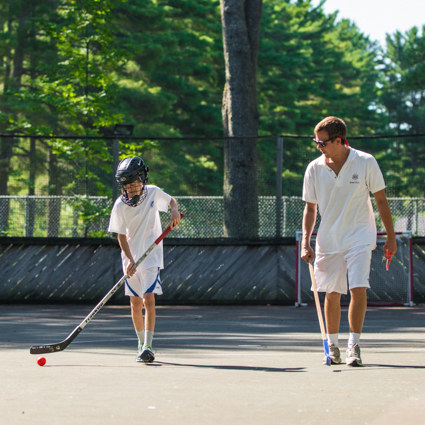 Our program runs with up to 200 campers in each four-week session. We hire approximately 120 staff members. They are typically college-age and come from around the world. Kohut offers a wide range of activities, from water sports to adventure courses to land sports to creative & performing arts to media and everything in between! If you don’t see a particular activity on the list, we may offer it as a “Daily Choice.” Have any suggestions? We love it when our staff bring new and exciting ideas to the Kohut program! 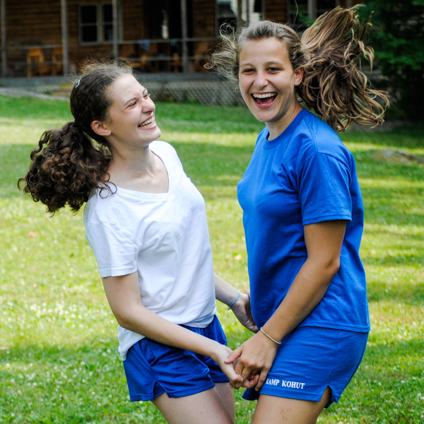 We are looking to hire dynamic and enthusiastic staff to instruct activities, live with campers, and be a part of the exciting adventure at Kamp Kohut. When it comes to the perfect setting for a great summer camping experience, Kamp Kohut offers the opportunity of a life-time. Surrounded by spectacular Lake Thompson, Kamp Kohut occupies a world of its own and we would love for you to be a part of it! Rich with the finest Maine camping traditions, our two four-week programs promote unity and camp spirit, as well as self-expression and growth. 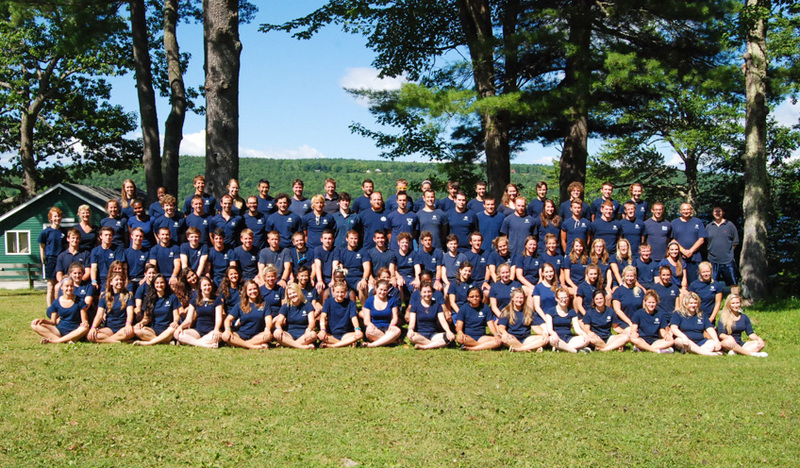 Most of our staff live in a cabin with a group of ten to twelve campers and one to three other staff members. All of the cabins are equipped with basic electricity and plumbing. Some of the cabins have showers and the ones that do not are only a few yards from the bunk-line shower house. The showers do have hot water! Each restroom and shower has a private stall. Sinks and cubby rooms are a bit more exposed. Kohut does not typically incorporate the use of bunk beds, so each person in each cabin will have a standard size cot with a mattress. There are also storage shelves in the cabin for various necessities. All bunk-line cabins are screened in and provide a beautiful view of the surrounding forest and lake. Staff housing is provided for staff members not in an instructor/counselor role. Typically, these platform cabins house 4 to 5 staff members, are very spacious and have basic electric. A separate bath/shower house is provided for these cabins, which are situated just off the main bunk line and close to all campus facilities. We would like to give you the opportunity to get to know everyone at camp before requesting who you want to live with, so bunk assignments will be done towards the end of the all-staff orientation. 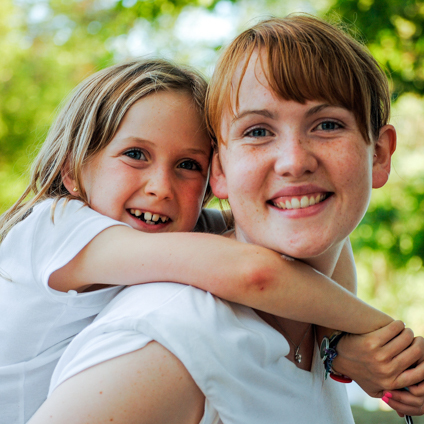 Lisa Tripler, the Owner/Director of Kamp Kohut, will also discuss with you your camper age preference and to which age group we think you would be most suited. Based on this information, you will then be assigned a bunk for the session. Kamp Kohut operates on a seven day schedule. Out of every seven days we have one Blue & White Day, one Trip Day, and five regular activity days. Throughout the course of each session we have Olympics/ Kollege Days, Senior Camper activities, and various other events that mix up the daily schedule from time to time. On a typical day, the bugle blows at 7:30am. Breakfast is at 8:00am. Activities begin at 9:00am. Each activity period is 50 minutes long with a 10 minute changeover. Lunch is at 1:00pm. “Rest period” begins after lunch and ends at 2:30pm. Afternoon activities run until “Free Dip”, which is at 5:30pm. Dinner is at 6:00pm and evening activity begins shortly after dinner. “Call to Quarters” is usually around 8:30pm and lights are out for the campers at 9:00pm or whenever Taps blows. A bell will ring at the end of each activity to signal the changeover and a bugle/trumpet is blown to signal wake-up, call to quarters, and bedtime. Please note that all schedules are subject to change and the Program Department reserves the right to break the start of Olympics and Kollege Days without any prior notification! SURPRISE!! For information regarding time off, please see our policies page. Staff will have access to the internet and their email accounts via computers in the “Counselor Shack”. There are also staff phones available for long-distance calls, but they require a calling card or collect call to the receiving party. Cell phones are permitted but may only be used on time-off away from the campers. Due to the location of Kamp Kohut, some cell phones do not get very good reception, if any. Make sure to check with your wireless provider! You are welcome to bring a laptop, though use is not permitted in the camper cabins and we do not have wireless connections. The Staff arrival and departure dates are much different from the campers dates, as we have many different training and orientation sessions for various groups of instructors and key staff. We also allow a couple of days at the end of camp to close things down after the kids leave. Your official arrival and departure dates will be listed on your contract. 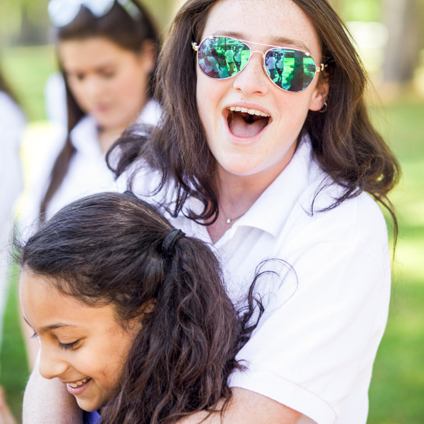 Salaries for summer counselors and support staff range from $1700 to $3500 (plus travel allowance, room, board, laundry, certification bonuses, free certification classes, college credit, internship opportunities, and more).